Leaving the house last night we had not intended to visit the Pascoe Vale Hotel. 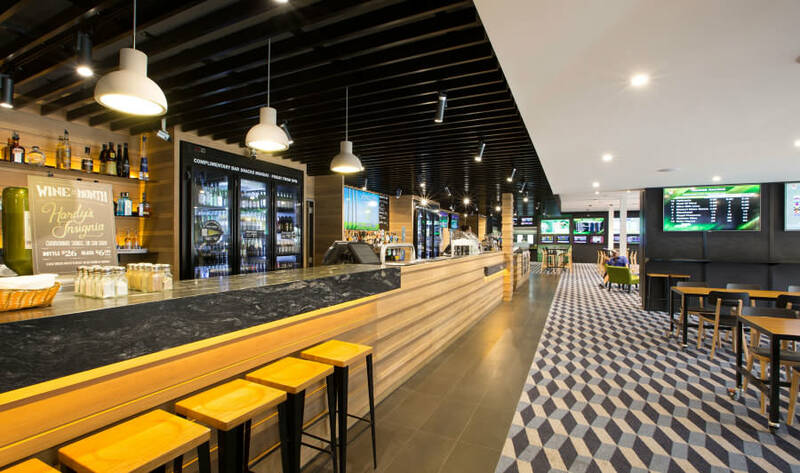 Our intended target for this week's review was supposed to be a redo of the Keilor East RSL after hearing from a few sources that they had drastically lifted their game since our 2012 review. Well apparently word has spread because we rocked up to the RSL to find it packed to capacity - To the point that people were standing around waiting for a table to open up. As a group we are pretty impatient, and damn hungry by the time it comes to 7pm on a Thursday night - So we went back to the ParmaBus™ and frantically googled locations nearby that we have yet to visit ... and that's how we found the Pascoe Vale Hotel. 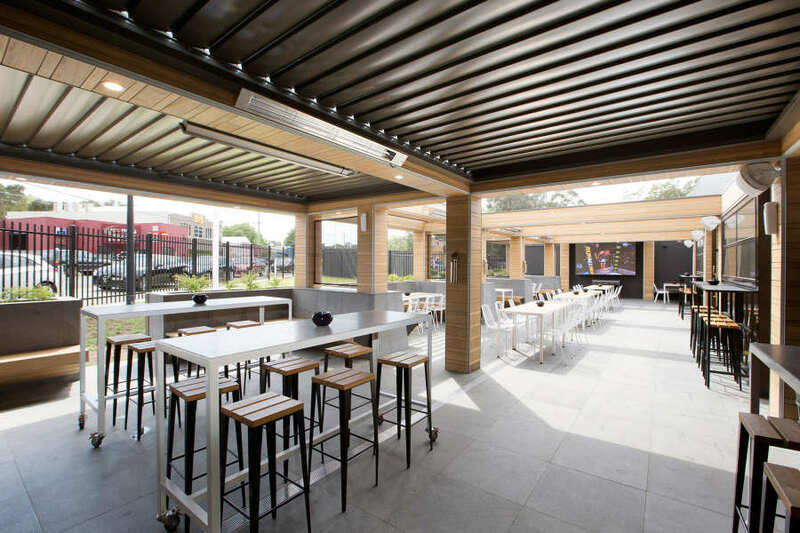 (We haven't forgotten about the Keilor East RSL either, if anything after seeing that insane crowd has only piqued our interest further ... we'll get there soon, and we'll book a table this time). Being the nerd I am I know the area around the Pascoe Vale Hotel quite well due to my many trips to MSY Computers, known as The place to be if you're ever in the mood to queue for an hour to buy an extra stick of RAM or a new CPU - Yet in all my years of going there I never felt the need to visit the Pascoe. Looking at it from the outside it always came of as a bit of a ... I'm trying to think of a word that sounds less harsh than "dive", but I don't think I can. Colour me impressed - This is not what I was expecting at all. A wide open bar with a great modern aesthetic. The staple TAB and pool tables all looked clean and well kept, and the beer garden looked damn impressive had it not been a bit of a crappy night. We walked past the sports bar, through the gaming area (this pub is big) and found the bistro. Took a seat, checked the menu. the parma runs at $23 with no specials on it that I could see. Placed the order at the bar and ordered a couple of pints to go with it. Beer selection in the bistro is pretty much limited to Carlton Draught or Extra Dry - There was a bigger selection in the sports bar, but that was too far of a walk for me ... So I just went with the Draught - $8 a pint. I won't lie, my expectations of the Pascoe's parma were pretty low - So imagine my surprise when the schnitzel was pure, white, unprocessed chicken breast. Hand crumbed with a great crunch - Unfortunately mine spent a little too much time on the grill and came out fairly burnt, this is usually excusable but the black spots added a distinct charcoal taste that permeated the dish. If you like cheesey parmas then this is one for you - I think there was more cheese than their was chicken. Gooey and well cooked, the cheese was probably the element I have the least to complain about. The napoli was as plentiful as the cheese, but had a very acidic (possibly metallic) aftertaste that absolutely dominated the dish. If they could have backed it off a little I would have been much happier with this parma. The ham was there, but didn't add anything to the flavour profile. The salad was surprisingly fresh and had a real "home made" vibe to it. It looked great on the plate and everything was fresh and crisp. I could have used a bit more ingredients-wise other than a few cucumber slices and some onion slivers - Much like the chips the salad was good, but not great. I think $23 is a little steep for this parma - Without a parma special I won't be rushing out to have it again. for $18-$19 I could forgive a lot of its sins, but at $23 the Pascoe Vale Hotel's parma is a little too rich for my blood. The Pascoe Vale Hotel and the parma therein definitely exceeded my expectations. I was absolutely shocked at how good the pub looked inside. The parma had some elements of greatness, it just faltered a little too many times in its execution for me to give it a seal of approval. If there's a parma night on that I'm not aware of its worth a crack, otherwise I won't be champing at the bit to go back.